Growing up with an Italian father I always had the fear of God in me that something could happen to me at any moment! When I was younger I just thought my pops was way over protective, but as I grew older I now say that he was completely right. There are a lot of weirdos in the world and as women, we always have to be on high alert to do everything we can to protect ourselves. 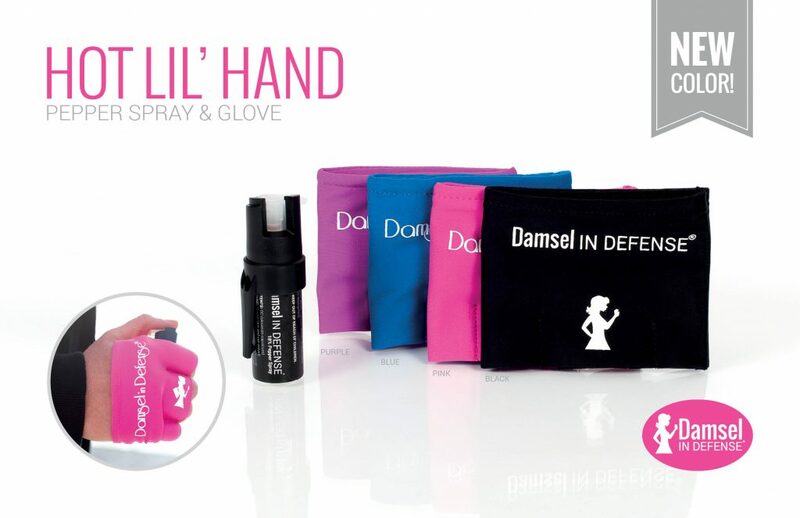 I recently attended a Damsel in Defense party my friend threw and was so appreciative of all the quick, helpful tips (and of course the great products they were selling!) that I wanted to share some with you. As a mom, I know the struggle of not being as aware of my surroundings because your attention is on the baby. Also, lets be honest, strapping a baby into the carseat with your behind facing out while trying to get a wiggling baby buckled in, find the paci, and put the iPad on a learning cartoon so he doesn’t fuss the whole drive…well, lets just say we make ourselves an easy target. I think that’s one of the biggest things I gathered from this informational home party- how to be LESS of a target. Below are some of the great things I learned and find important for every woman to know. With the car locked, gather everything you need and have your purse, diaper bag, shopping returns, etc ready to go. Then, I like to unbuckle Brexton so it saves a few seconds when I get to his door. (I wont lie to you, if I am by myself and its dark out, I will get in the back seat, get him fully out of his seat and get out the back door with him and my stuff). Once you exit the car, check your surroundings. This isn’t the time to be sending texts or checking your emails – always pay attention to your surroundings. If you’re leaving a store and feeling uncomfortable, find a family and ask to walk out with them. This is one of the biggest tips I learned because I always used to ask the security guard to walk me out. According to this home class, most of the times that is safe; however, you are still walking in a parking lot with a man you don’t know. A family (mom, dad and kids) is always your best bet! Have your safety tools out and ready when you are exiting. Pepper spray, a taser – whatever it may be is not going to do you any good if it’s at the bottom of your purse! Pay attention! If you have headphones in, are staring down at your phone or just spacing out, you are an easy target! I don’t know how else to put this, but its OK to be a B*tch if you have a bad feeling. Trust your instincts and don’t let someone manipulate you. Here is the true story we were told during the class that really puts all this into perspective. A young woman parked at her apartment complex and got out with hands full of groceries. A good-looking guy came up to her, said he recently moved into the complex and offered to carry her groceries for her. She said, “No, thanks. I have it, but thank you for the offer.” He then said, “Oh I get it, you’re one of those independent women. Seriously, chivalry isn’t dead, I’m just offering to help”. The young woman didn’t want the help, but felt bad and rude about it so she let him carry the bags. When they got to the door, she thanked the man and told him to just set the bags at the door. He then told her, “I just walked up three flights of stairs, it’s silly to put the bags on the floor when I can carry them in and set them on the counter for you.” She told him it was fine to just leave them at the door and he again, in a polite way, coerced her to just let him- this helpful citizen- place the bags on the counter. Once again, she felt rude so she opened the door and let him in. When he walked in, he grabbed and raped her. It’s tragic that we have to live in a world where we can’t trust strangers. Most people are probably truly nice and helpful, but it’s not worth taking the chance and getting the bad apple. In this class, I learned such an important lesson: it is acceptable to stand your ground. I am the type of person who doesn’t like confrontation or hurting people’s feelings, so in that situation of the young girl, it would have been hard for me to be firm and keep saying no as well. But here is the thing you have to remember, you don’t owe anyone anything. Just because they offer, you don’t have to accept- it doesn’t matter what they are selling or if they are asking for directions, if you are alone and it makes you uncomfortable, say NO. Always keep your car in drive; if you’re at a drive thru, ATM – whatever it may be – never put your car in park. If someone comes up to your window you can easily drive away instead of having to put the car in drive and go. If they want your purse, give it to them, but throw it in the opposite direction of the store, then run in to store when they are going the other way to get your purse. If you see a gun, run, even if they say they will shoot and here is why: First, they may not actually shoot because it will be loud and draw attention to them. If they do shoot, they may miss. If they shoot and hit you, there is a chance it wont be in a vital spot. So, your chances are better to just run. Also, NEVER get in the car with them if you are asked. They are not taking you somewhere with more people – they are taking you to a pre-determined, secluded location, which is not good. FIGHT! Do not make it easy on them. Be dead weight so they have to drag you. Kick, punch, scream – whatever you can to hurt them and draw attention. Two things we were told – biting hurts and is very effective and aim for their man area or eyes – both hurt like hell. Small, but mighty. I like to keep one in my purse and a few at the house in strategic areas. Pepper spray. This is perfect to attach to your key chain. They also have a great version for runners! An alarm doorstop. If you travel to hotels, live on your own or are in college, this is a MUST! Think about it, if you travel alone, many people know that you are by yourself and what room you are in. You slide this under the door and if anyone tries to open it while you are in there, well, let’s just say people will be coming to your aide because it will wake up the entire floor. 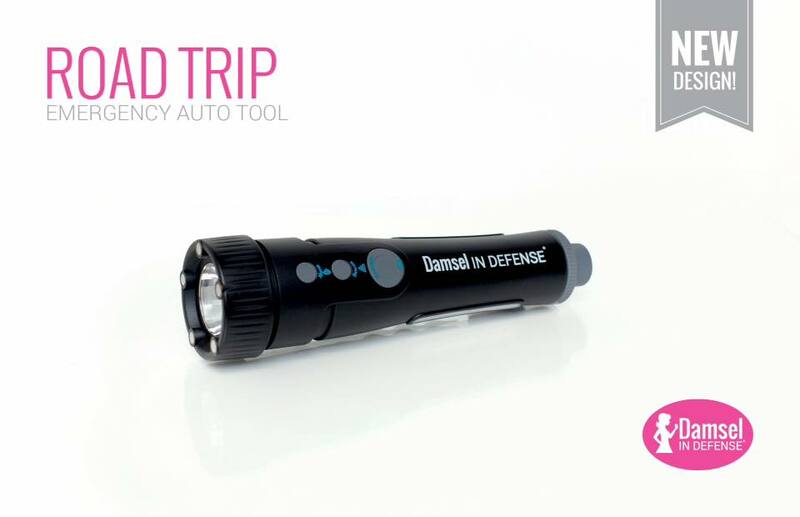 It’s a seat belt cutter, glass breaker, flashlight and alarm all in one. Keep it in the center console for easy access. I didn’t write this to scare anyone, but it’s a good refresher of something that we just don’t want to think about. Always remember ladies – trust your instincts, it’s ok to say no and be strong!